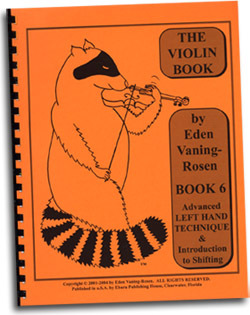 This book polishes off the left hand technique needed to join a youth orchestra program. There is a tremendous wealth of material covered here. The book is filled with games and exercises to clarify each highly detailed, carefully illustrated step. 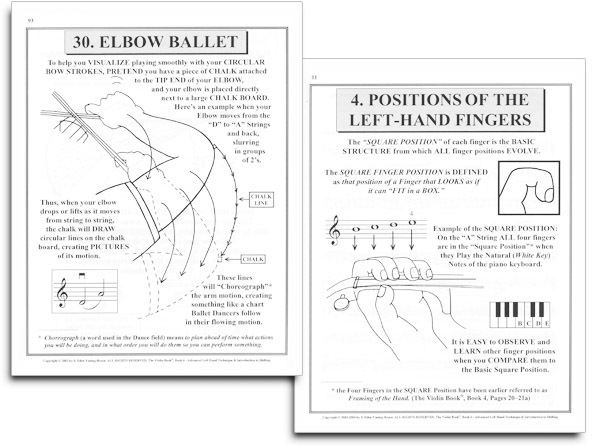 The student's tool kit starts with an intensive preparation of the new motions required of the left hand fingers, including those important stretches, done correctly! All new concepts introduced, built carefully on the prior, mastered steps. By this point, you already have a good little musician in the house. Here they will become even better! In this book there are a tremendous number of pieces, where the student will use to really take off playing with style. Students learn to play with a flair as they make their music come from the soul. Expressing feeling through a song is one of the most rewarding experiences of being a violinist. 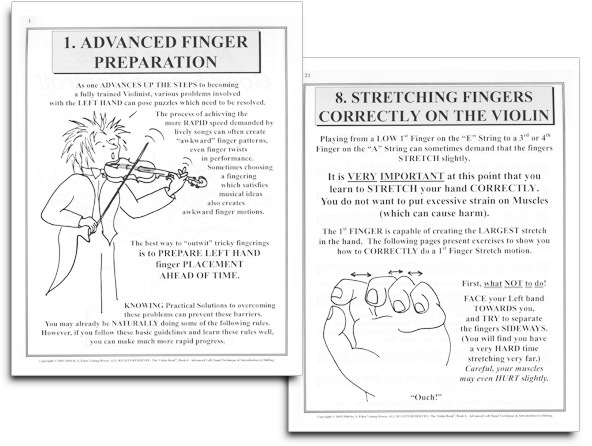 Here your child gets the tools to make emotion pour out of the violin. And the final step, their first Violin Concerto! 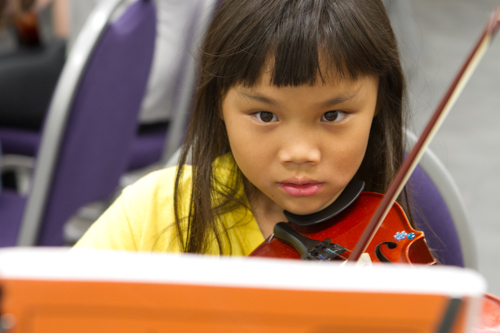 After playing two strings together, shifting the hand up and down the violin to play higher notes, counting advanced rhythms, smoothing out bow strokes, and challenging themselves in a Rhythm Olympics, students play their first Violin Concerto. And all this, step-by-step on a simple pathway anyone can travel, at any age. And by this time the student is a pretty good teacher as well, totally capable, by using the books with a little sister, brother or friend, to turn around and share the wonderful gift of music with another.